Below is a compilation of luxury sheet masks we use when we feel the urge to treat ourselves à la Tom and Donna on Parks and Recreation. Yes, they're pricey, but they're formulated with fancy ingredients and leave our skin looking "haven't eaten processed foods for a week" levels of glowy. 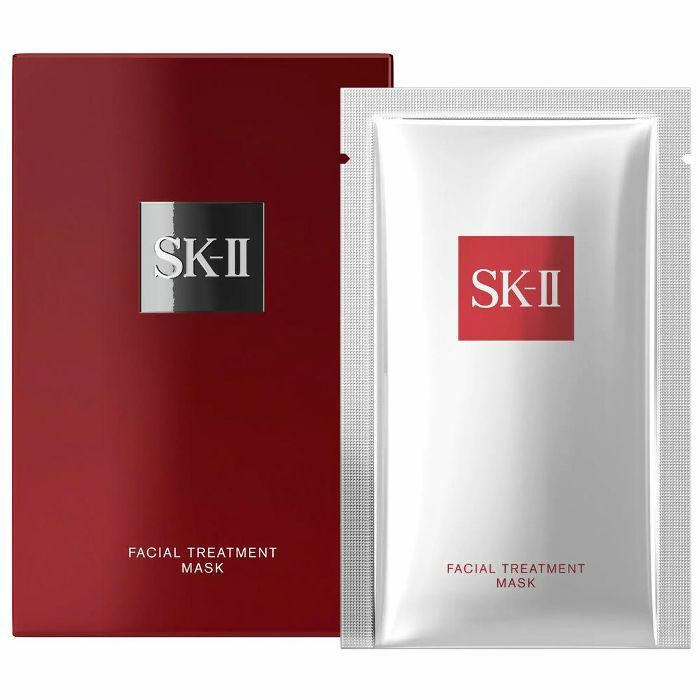 Think of this sheet mask like SK-II's Facial Treatment Essence on Bulletproof Coffee: The cotton mask is soaked in the essence and helps your skin absorb it better because it keeps it from evaporating. Pitera is the standout ingredient, and it's full of good-for-skin vitamins and minerals. We did the math on this, and each one of these anti-aging masks comes out to around $20—a splurge, for sure, but one you'll deem necessary once you see the immediate results. Each soft cotton mask is saturated in an anti-aging serum packed with super-hydrating ingredients like sodium hyaluronate and glow-inducing algae extracts. 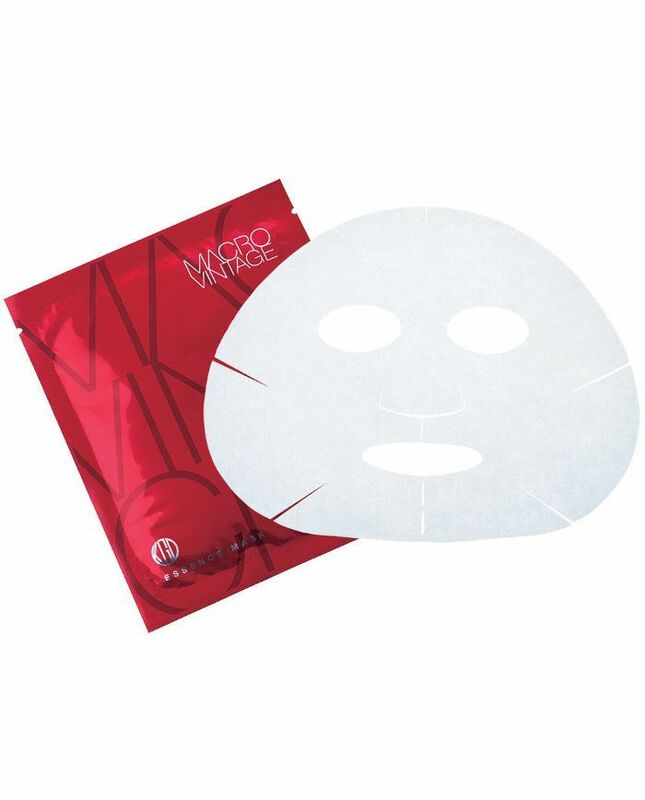 The sheet of this mask is made from an entire coconut, which helps the active ingredients— like anti-aging Okinawa red algae and hydrating hyaluronic acid—penetrate your skin. This retinol-rich mask comes in two pieces, which means it really molds to your face and actually stays put for the entire time you have it on. 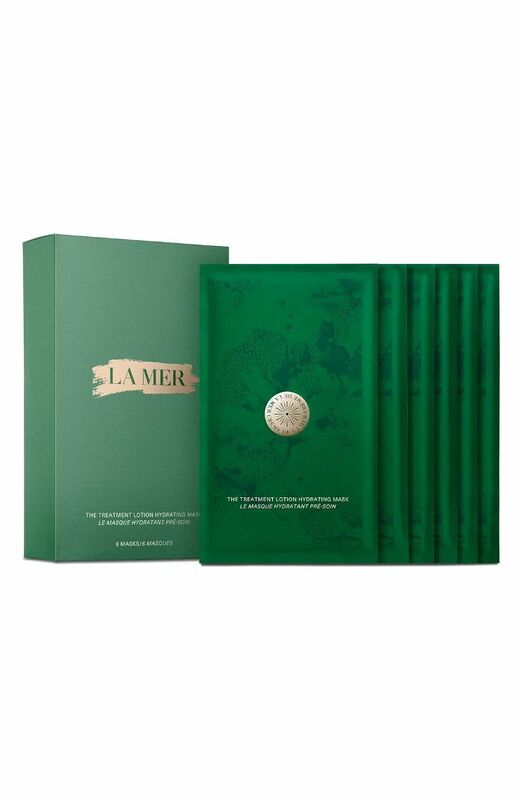 This mask boasts serious skin-brightening benefits thanks to licorice root extract and vitamin C.
This newly launched mask from La Mer is a very bougie but effective luxury you need to put on your face if your budget allows. 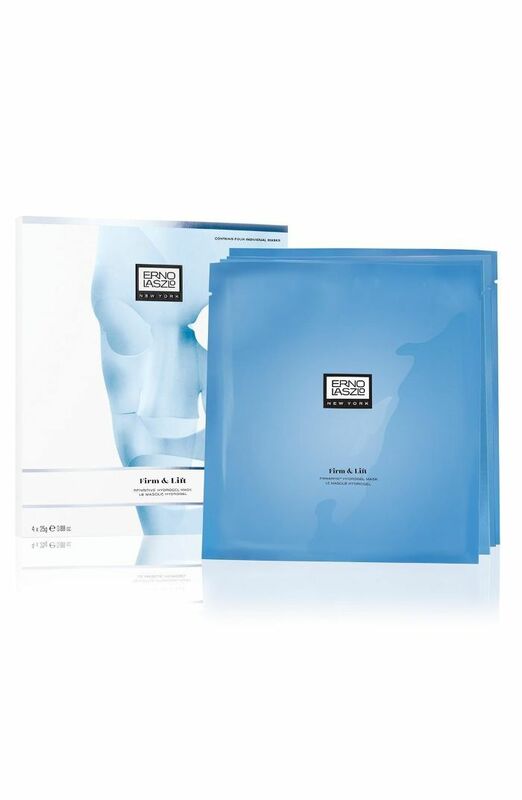 Each mask contains an ounce of the brand's iconic Treatment Lotion, which, if you aren't familiar, is brimming its patented Miracle Broth (aka fermented sea kelp, which contains skin-loving vitamins and minerals). 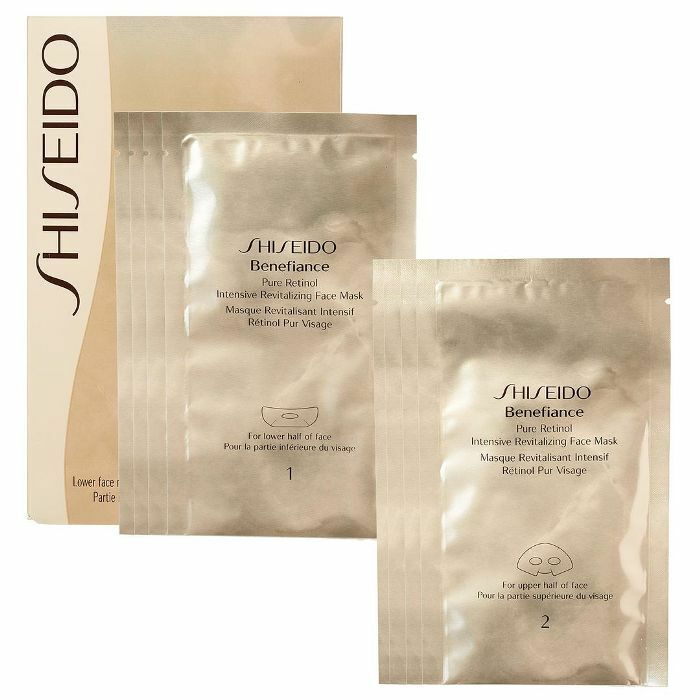 The gel-like texture of this mask feels especially refreshing if you keep it in the fridge before application. It plumps skin with a blend of argan oil and botanical extracts like grapefruit and algae. 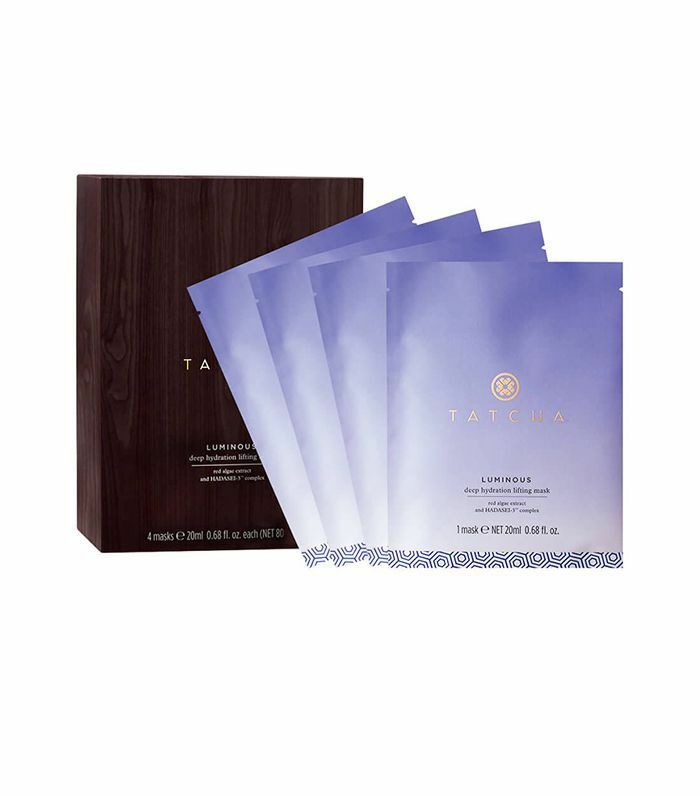 This three-step system works by first exfoliating and hydrating your skin with a lotion and an essence, and then sealing in the active ingredients with a sheet mask. The end result: smoother, softer skin. 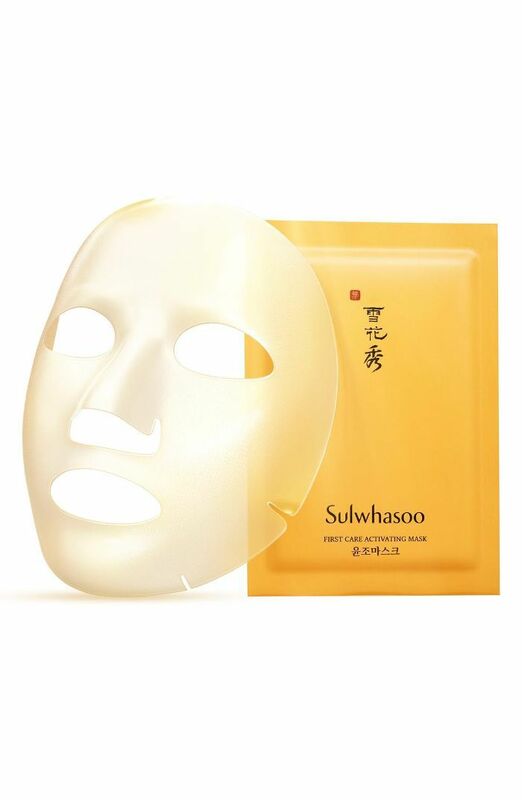 The ingredients in this mask read like a who's who of medicinal herbs that are great for skin: peony, sacred lotus, Solomon's seal, white lily, and Rehmannia are brewed for exactly 18 hours to create the brand's signature Jaum complex that saturated this mask. 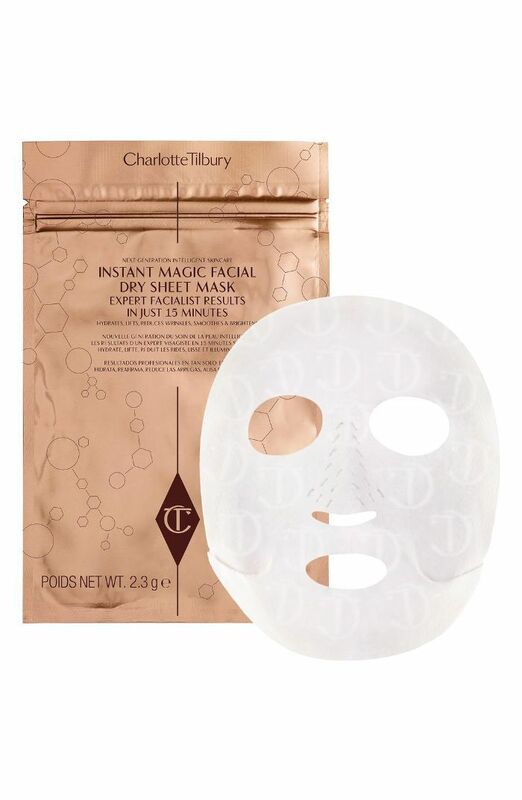 At first, I was very confused by this dry mask. But when I removed it after the recommended 15 minutes, I couldn't deny that my skin felt more hydrated and looked healthier. It's probably witchcraft, but I'm not mad at it. Next, check out the best face oils for every skin type.